There’s something of an intangible quality about The Fast & The Furious series that no one can quite put their finger on. 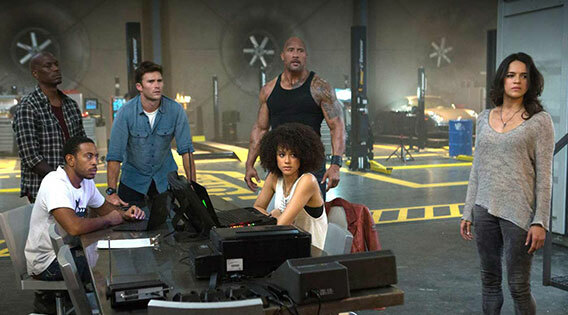 Now in its eighth and almost certainly not last chapter, there’s no real obvious reason as to why it has lasted for so long; or why the latest chapter, The Fate of the Furious, broke global box office records with the most successful worldwide debut weekend, raking in an impressive $532.5m. You’d think that, eight films in, there aren’t too many more heist and action scenarios that can be painted with the colours of fast cars and the transferable skills of street racers. But once again, there’s a twist that’s just about engaging enough to feel fresh to even casual fans. Low and behold, ‘Mr Family’ himself, Diesel’s Dom Toretto, has turned against the family and sided cyber terrorist, Charliz Theron’s Cipher. What’s the catch? Well, we learn pretty early on that Toretto has a child with Elena Neves – a former Brazilian police officer in the three previous films – and that Cipher has taken both as hostages for leverage in coercing Toretto into helping her to steal various technological artefacts of a destructive nature with which she plans to wreak havoc. While the skeleton of the plot resembles so many action films you’ve seen before, in the context of the franchise, Toretto’s forced betrayal is without doubt the hook for fans. 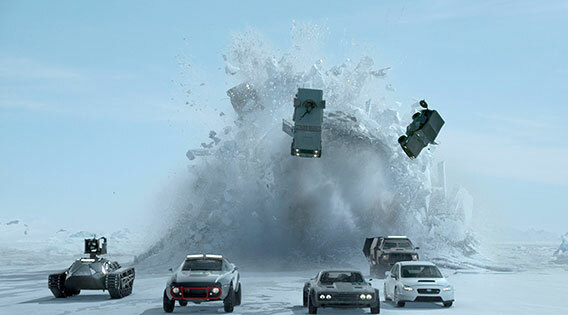 But unlike so many action films you’ve seen before, The Fast of the Furious fleshes out that skeleton with bombastic action set-pieces, slick car chases and characters that we’ve had plenty of time to get to know, understand and maybe even empathise with. The chemistry among the cast reaches its most fluid and entertaining yet and there’s the same sense of fun and unapologetic, but aesthetically pleasing, action hyperbole at every sharp, screeching turn. But what of the future for the franchise? Well, there are talks of spin-offs for the likes of Johnson’s Hobbs character. With one spin-off and two short films making up part of the franchise, there is already a base for a shared universe of sorts. But as that ill-fated spin-off, 2006’s The Fast and the Furious: Tokyo Drift, showed, a Fast & Furious film without Vin Diesel might be hard to swallow. Ummm...any of The Fast & Furious films. 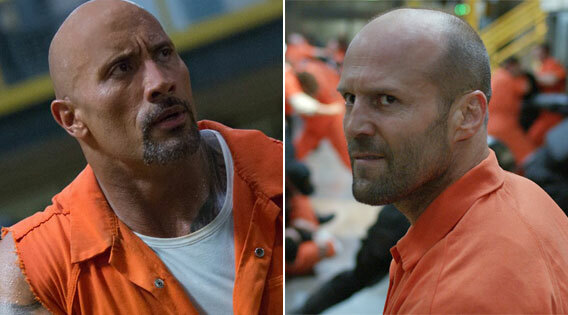 The film was plagued by rumours of Dwayne Johnson and Vin Diesel falling out back stage after a revealing Instagram post by Johnson after filming finished. If you're into that kind of thing, you can find out more here.